The fifth annual Hargeisa International Book Fair concluded on 18 July 2012, following a successful programme which attracted guests from both inside and outside Somaliland. The Hargeisa International Book Fair is more than a place to just find books -- now in its fifth year, the fair hosted authors, artists, filmmakers, musicians, actors, journalists, composers and singers from Somaliland and abroad. This year, 30 people were invited from countries around the world, including from the United States, England, Russia, Sweden, Finland and others, according to Jama Musse Jama, an author and manager of the Redsea Online Culture Foundation, which organised the six-day fair with Kayd Somali Arts and Culture and other local organisations. The book fair was held at the Working Men's Club in central Hargeisa from July 13th-18th , under the theme, "Let books be your companion"
Somaliland Minister of Youth, Sports and Culture Ali Said Raygal said in his opening address that the fair was a sign Somaliland's progress and that such events are important to spread a positive image of the region. 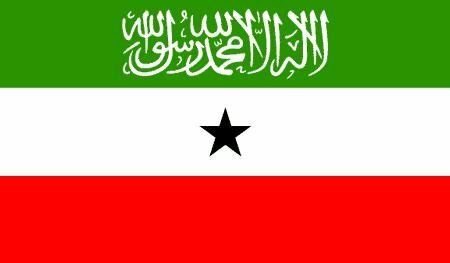 It is important to fight ignorance, lack of education, unemployment, human trafficking and other problems to ensure the progress of Somaliland, he said. Famous Somali poet Mohamed Ibrahim Warsame Hadrawi encouraged visitors at the book fair to pay heed to the message of the fair and take advantage of the opportunity presented. Jama told Sabahi that Nadifa Mohamed, British-Somali author of the book "Black Mamba Boy", which has been translated into more 10 languages, attended the fair for a third year. Mary Harper, BBC Africa editor and author of the book "Getting Somalia Wrong?" also attended the fair, as well as Dr. Georgi Kapchits, a Russian researcher who has studied the Somali language for 40 years and written eight books on Somali proverbs and stories. Five-thousand books were presented at the fair, according to Jama. Some of the books will be donated to libraries, while others were for sale, including new books in Somali and English. This year's event also featured Western classic literature, for sale at a reduced price, to give young people the opportunity to read books from other cultures, Jama said. "Our primary goal, in addition to presenting the books, is for Somaliland to become a literate society that writes," he said. As part of the Redsea Online Culture Foundation's efforts to strengthen reading and writing, a travelling library visited Borama, Berbera, Sheikh, Burao and Erigabo between July 2nd and July 9th . "The important goal was to make books accessible to youth because there are no libraries in the areas we visited," Jama said. Yasin Alase, a professor at the University of Hargeisa, said there is a lack of libraries and educational books written in Somali. "There is only one public library in the city of Hargeisa, and the students are in dire need of more libraries," he said. Alase said in the past 20 years, most books published by Somali authors have been about old literature, and there are no educational books being published in the local language. He said Somali academics need to promote the translation of educational books into Somali to increase the number of public libraries and to facilitate the spread of books to all the regions of the country. "One will only be able to fully access knowledge by reading in his language, and this will create a culture of reading," Alase said.